Our programs prepare educators for licensure in the state of Ohio. Although we have reciprocity with many states, teacher/professional licensure requirements are subject to change. Please check appropriate state's board of education website for the most up-to-date license requirements. Our graduates are prepared to address persistent educational challenges, including achievement gaps based on race, class, language and ability. They utilize strategies such as differentiated instruction, culturally responsive pedagogy and inquiry-based learning to address the educational needs of racial minority students, students from lo-income backgrounds, English language learners and students with disabilities. Our graduates are immersed in the schools and complete 100-250 hours working with students prior to student teaching. They are placed in urban, suburban and rural school settings. 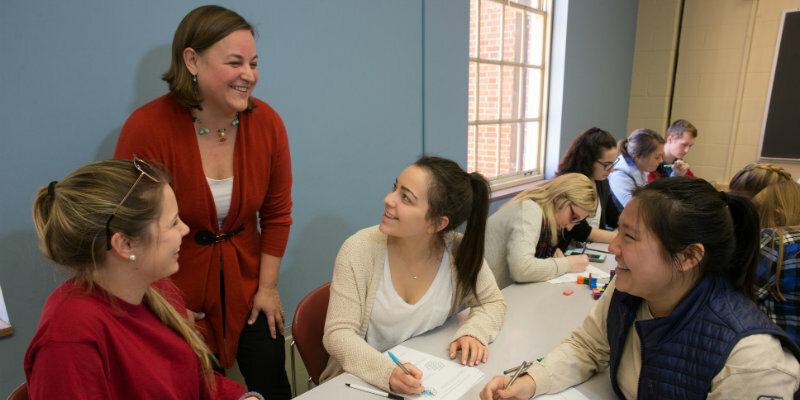 All teacher education licensure programs at Miami University can be completed in four years, including all Miami Plan and Teacher Education courses as well as a full semester of student teaching. Miami University’s Robert Noyce Scholarship Program seeks to encourage talented science, engineering, and mathematics majors and professionals to become secondary mathematics and science teachers.